Dr. Terry Ellis is an interventionist who helps individuals and families overcome addiction. He has been a Christian for more than four decades, and his journey on The Way led to New Orleans Baptist Theological Seminary where he received a M.Div. and a doctorate in Greek New Testament. He has been the pastor of churches in Mississippi, Louisiana, Kentucky, and Alabama. During that time he consistently stepped into the chaos of people's lives to try and bring them direction and peace. 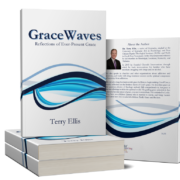 In more than 30 years of pastoral ministry, he has authored weekly columns of encouragement and instruction, and since 2010 has written GraceWaves, a weekly devotional designed to encourage Christians by focusing on the multifaceted grace of God. He is available for Bible studies, conferences, and any gathering in which God’s people need encouragement and reminders of God’s grace. He is married to Leslie and together they have two children, Lauren and Gregory, and three Schnauzers.